Lin Arison, wife of the late Ted Arison, founder of Carnival Cruise Lines, will serve as godmother of Carnival Sunshine, the former Carnival Destiny, which was renamed following a massive $155 million makeover earlier this year. Arison will officially name Carnival Sunshine during an invitation-only ceremony held on board the 102,853-ton ship at its new U.S. homeport of New Orleans, Nov. 17. During the event, Carnival will donate $25,000 each to the Miami-based National YoungArts Foundation and New World Symphony. 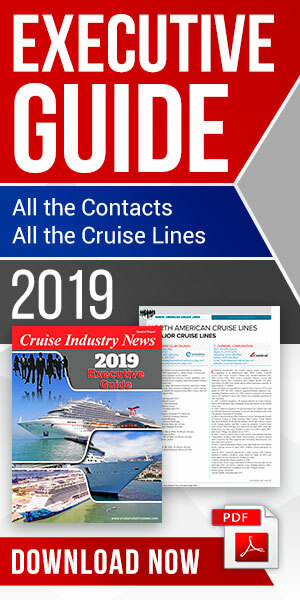 Arison’s association with Carnival Cruise Lines dates back to the company’s inception in 1972 when she named Mardi Gras, the line’s first ship. She also served as godmother to Carnival Destiny — at that time the world’s largest cruise ship — when it entered service in 1996. She is the only person to be godmother to three Carnival ships, having also named the Holiday in 1985. Arison has dedicated her life to the advancement of the arts and the support of young and developing artists in Miami and around the world. Recently, she was awarded the 2012 National Medal of Arts by President Barack Obama for her contributions as a philanthropist and arts education advocate. She is responsible for many of the major initiatives that sparked Miami’s cultural renaissance and, along with her late husband, founded the National YoungArts Foundation and its core program, YoungArts, as well as the New World Symphony (NWS) in Miami Beach. YoungArts is an arts scholarship program that identifies emerging artists and assists them in their educational and professional development. Carnival is the premier sponsor of both YoungArts, which has supported more than 17,000 young artists over its 32-year history, and the New World Symphony, also known as America's Orchestral Academy. NWS is an intensive three-year fellowship program that offers young musicians a range of performance and educational opportunities in both domestic and international venues.